As the heyday of the Chicano Movement of the late 1960s to early 70s fades further into history and as more and more of its important figures pass on, so too does knowledge of its significance. 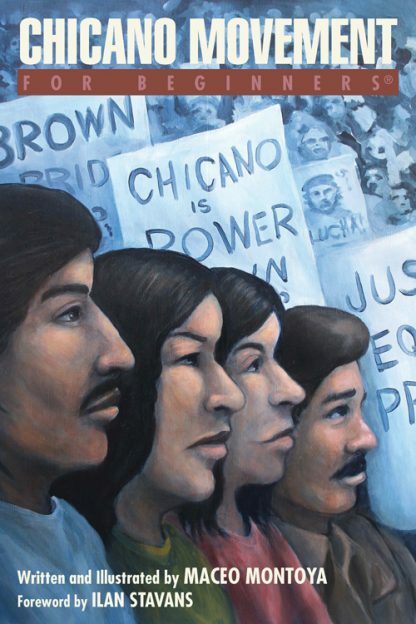 Thus, Chicano Movement For Beginners is an important attempt to stave off historical amnesia. It seeks to shed light on the multifaceted civil rights struggle known as �El Movimiento� that galvanized the Mexican American community, from laborers to student activists, giving them not only a political voice to combat prejudice and inequality, but also a new sense of cultural awareness and ethnic pride. Beyond commemorating the past, Chicano Movement For Beginners seeks to reaffirm the goals and spirit of the Chicano Movement for the simple reason that many of the critical issues Mexican American activists first brought to the nation�s attention then�educational disadvantage, endemic poverty, political exclusion, and social bias�remain as pervasive as ever almost half a century later. Writer, artist, and educator Maceo Montoya is an assistant professor in the Department of Chicano Studies at the University of California, Davis, where he teaches courses in Chicano literature and the Chicana/o Mural Workshop. He is also the director of Taller Arte del Nuevo Amenecer (TANA), a community-based art center in Woodland, California. Professor Montoya is the author of several acclaimed works of fiction, including The Deportation of Wopper Barraza (2014).